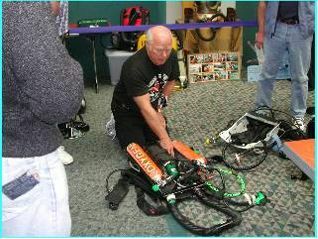 I began diving in the early fifties using home-made scuba because diving equipment was not available at that time. When one did arrive on the market, I purchased a Porpoise unit and soon after followed by Siebe Gorman twin hose Aqualung. 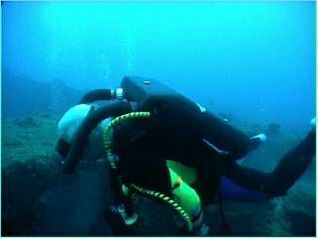 When Dragger Dolphin SCR's became available in S. A. Mike Wescombe-Down and myself did a rebreather and mixed gas course with Andrew Poole over in Perth. 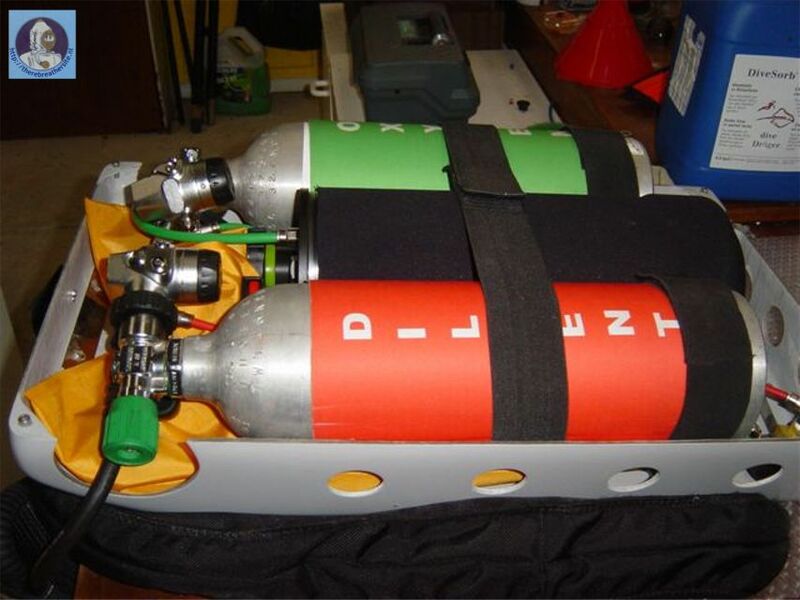 A very common inherent fault with most rebreathers I found is that they are bottom heavy, the breathing bags are at the top, and the valves are at the bottom. 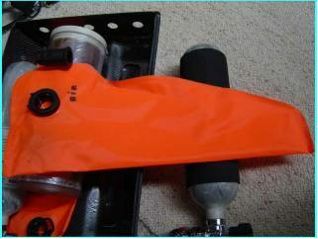 The Dragger company over come this problem by placing four heavy leads, two on each shoulder which is incorporated in the webbing of the harness.) I cannot help thinking not much thought was put into the design of this unit. 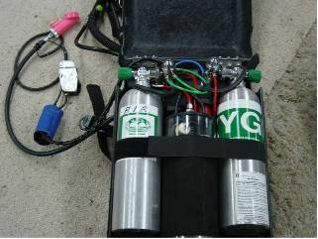 Rebreathers are heavy enough without having to carry eight pounds of lead on your shoulders to bring the unit back into balance. The exhaust valve bubbles off every three to four breaths making it not much advantage over the open circuit apparatus. All the above and other issues such as electronics and salt do not mix, set me on a course to develop a unit which was balanced, light. 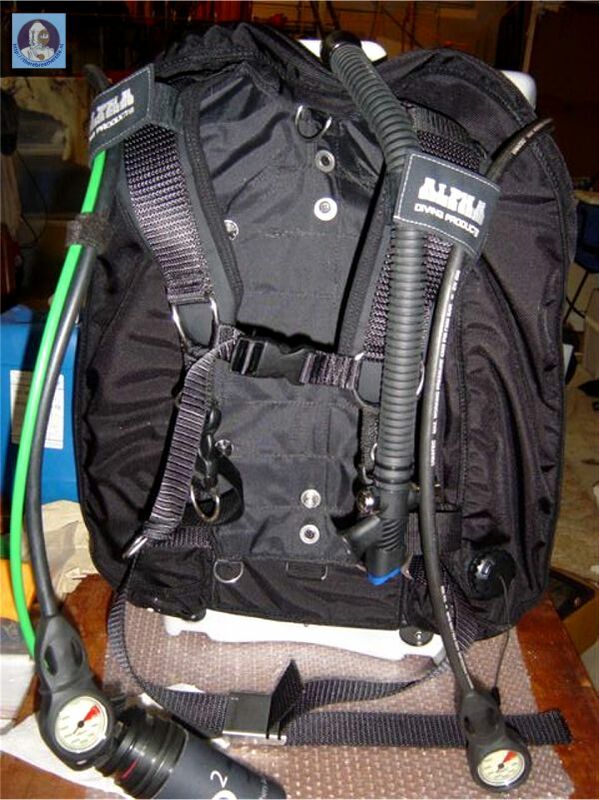 low profile (to my knowledge there is no CCR even close to this profile) and streamlined making it easy for the diver to swim with. One point with electronics they will without question sooner or later fail. 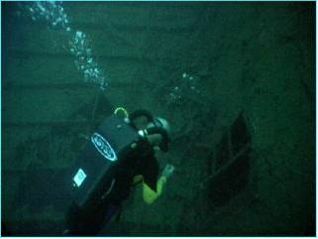 Hopefully if maintained regularly the percentage of failing will be minimized and hopefully the diver will not be using it at the time! 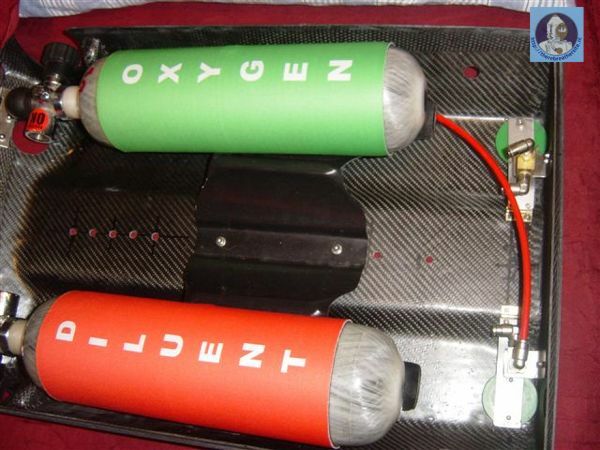 I mentioned this because there have been too many accidents with electronics and battery failures etc. 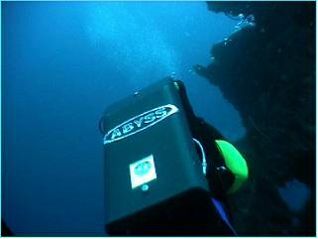 Abyss is a dream to use. 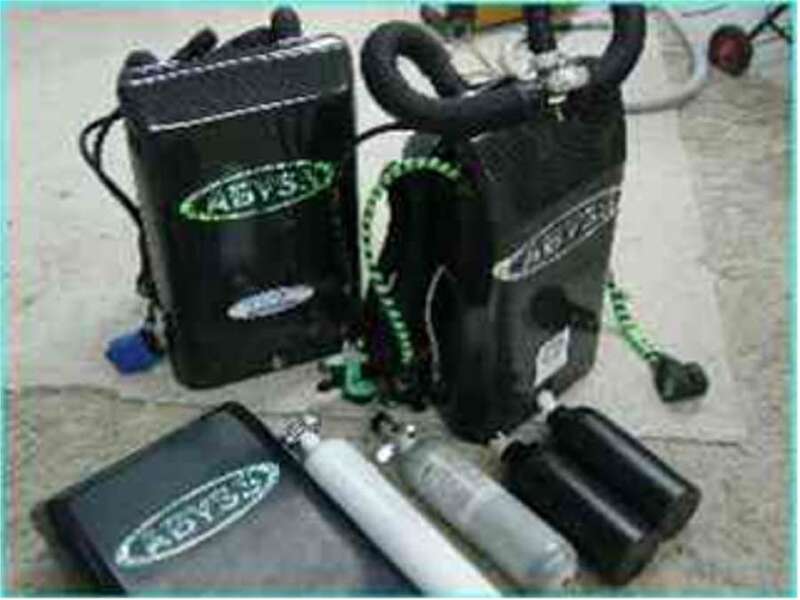 The ABYSS rebreather is a passive injection (adjustable to the divers O2 respiration rate) closed circuit rebreather. 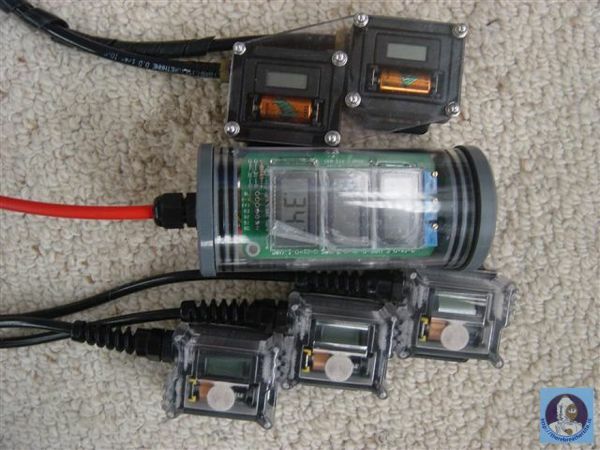 Its development began six years ago using electronics to drive it in the beginning. 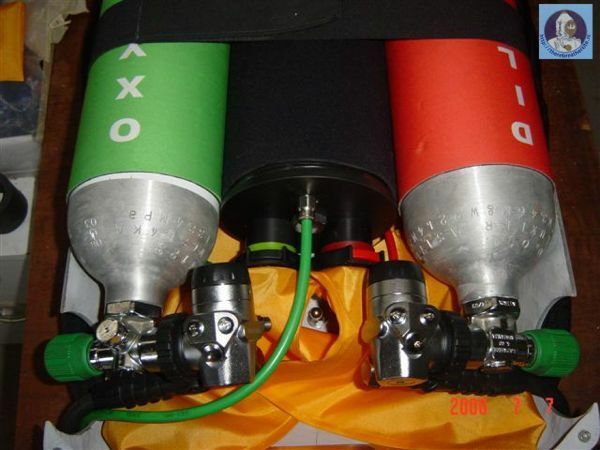 One day whilst diving a German O2 rebreather which had a constant flow of .9 Lt. per minute I suddenly realized I hadn't hit the O2 add button for over one hour .the over pressure relief valve had not exhausted indicating my O2 respiration rate was matching that of the rebreathers set rate. 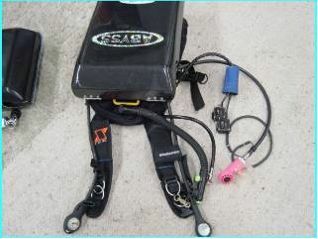 I spent some time considering how to incorporate this system in a mixed gas CCR. After experimenting with small jets and different orifices I eventually found a needle valve to suit my requirements perfectly. 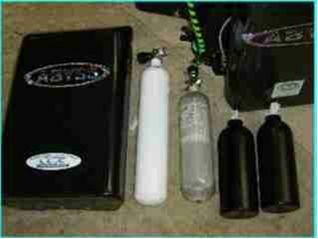 The next step was to streamline the system and to make it user friendly. THE ABYSS CAN BE STRIPPED VERY QUICKLY. 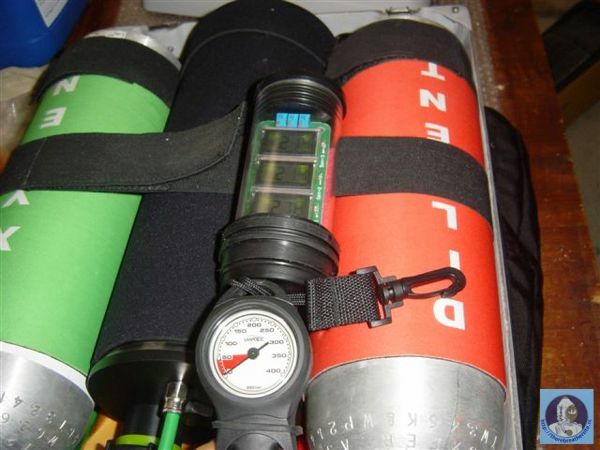 I have dived the unit with nearly one litre of water in the exhaust bag DSV (mouth piece loose in the mouth to permit this leakage ) and the unit still functioned perfectly. 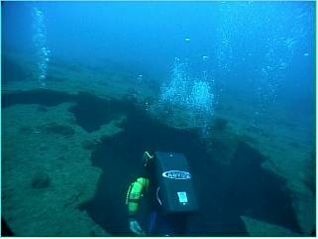 In the last two years of diving this unit I have never had to alter or re-adjust the set point of .9 Litre per minute . 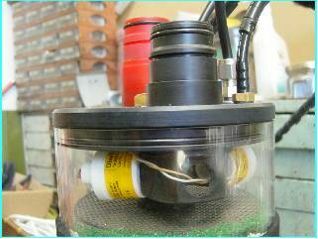 The unit has a 15 micron filter to protect any contamination of the needle valve . Some may consider this to be an over kill but I would ask the reader to consider how many times the jets of the Dragger Dolphin SCR was found to be blocked by salt and the flow rate either stopped completely or was interrupted. 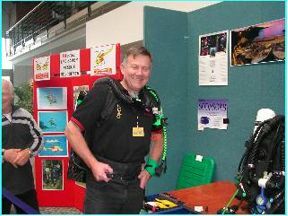 Here you see several prototypes and right is Mike Wescombe-Downs modelling the Abyss at Oztek with Errol to the left of picture. 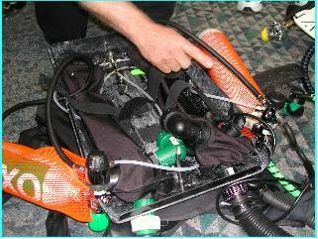 Everything on this rebreather has been hand made from tooling manufactured by Errol Harding. 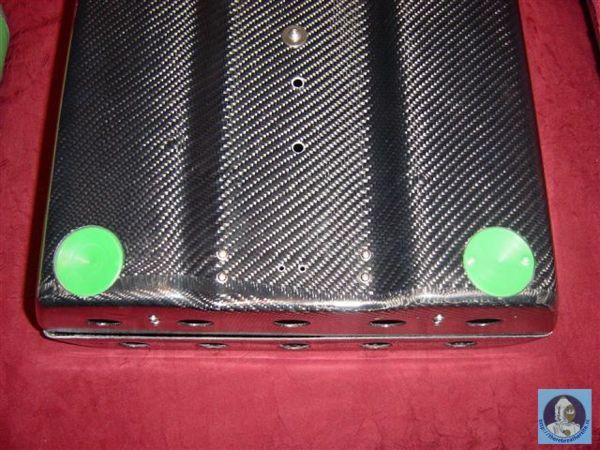 The cases are carbon fibre and an emphasis was placed on weight as you will see in subsequent pictures where Errol is now using Fibre Wrap cylinders. 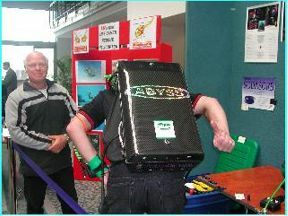 Left Mike modeling the "Abyss" from the front and right as side view of the unit. 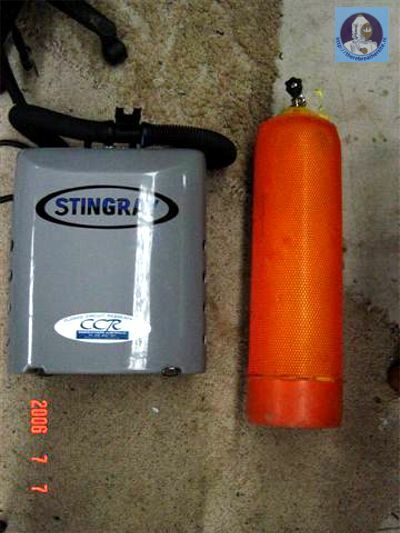 Both left and right views of the scrubber canister complete with sensors and Gordon Smiths O2 gauges. 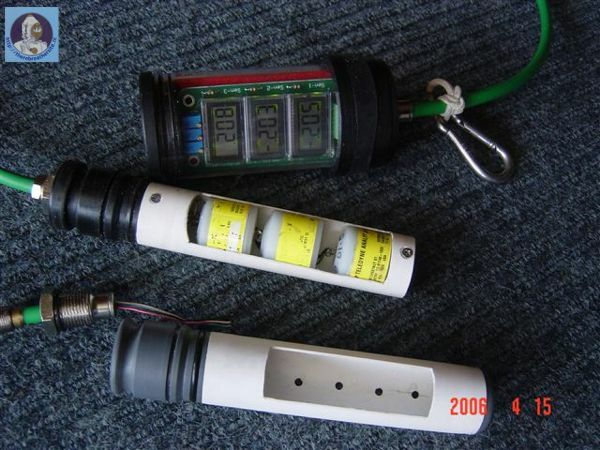 Errol has used a number of different gauges on the Abyss and seems to be very happy right now with the small "Kiss" style displays that Gordon makes for his Kiss Rebreathers. These shots taken at Oztek 3 while Errol was conducting an impromptu workshop on the floor outside the display area, everything has been carefully thought out and made to fit nicely inside the carbon fibre shell. 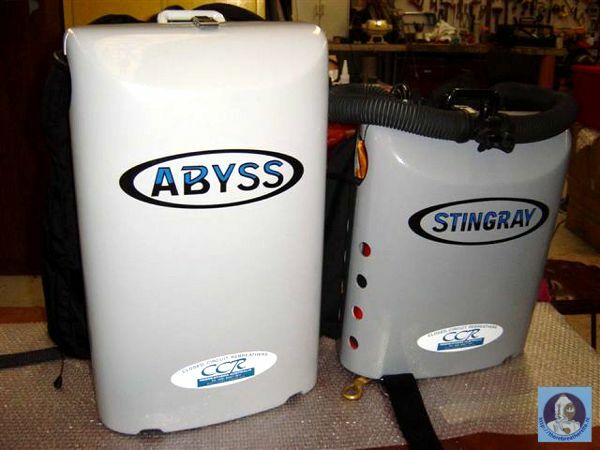 These pictures showing the tank options you can use with the Abyss Rebreather. 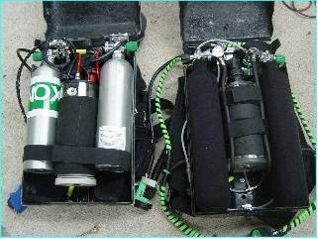 From left to right are 2.5 , 2.0 and 1.5 litre cylinders that will fit nicely inside the shell of the rebreather. 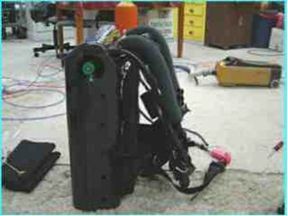 The above shots showing a closer view of the Co2 scrubber and sensors mounted plus Errol's own spiral hose design and in the front of the picture is a Draeger Ray hose. 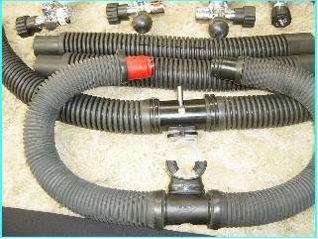 Errol was testing the Ray hose assembly as an option for the unit however the spiral fluted hoses are easier to dry because they self drain and are a lot more flexible. 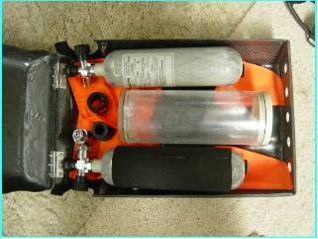 These shots outline the new breathing bags Errol is using on his latest design and run the full length of the carbon fibre shell. 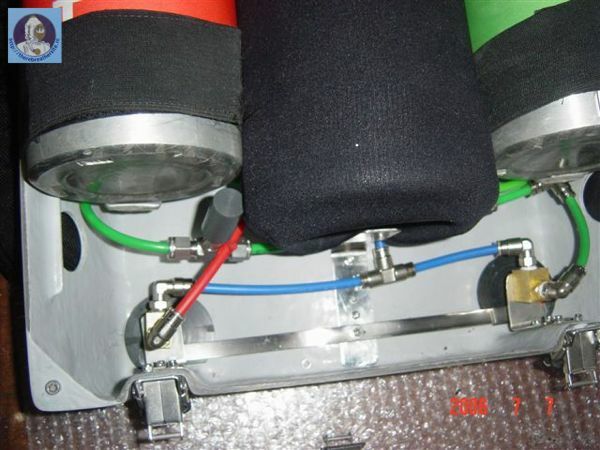 Here you see the extra Swagelock oxygen filter to prevent ingress if dirt in the needle valve.